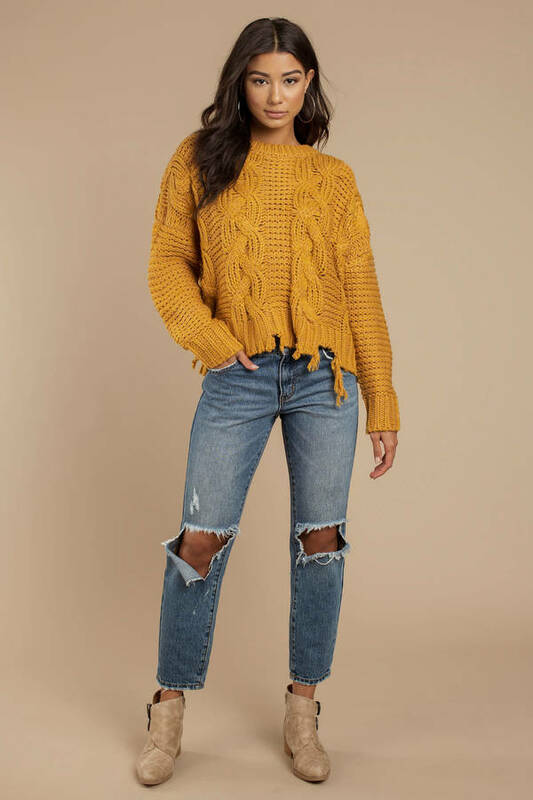 Check out Tobi's Leah Distressed Hem Sweater Get that lived in look with the Moon River Leah Mustard Distressed Hem Sweater. 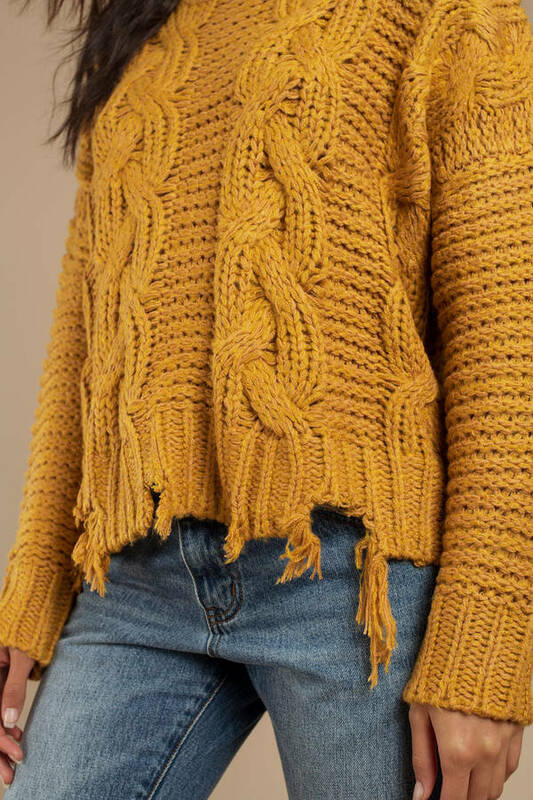 This mustard yellow sweater features intricate knitting, crew neckline, oversized fit, and a distressed hem. This slouchy sweater will look so fall with tight pants, booties, and a beanie. 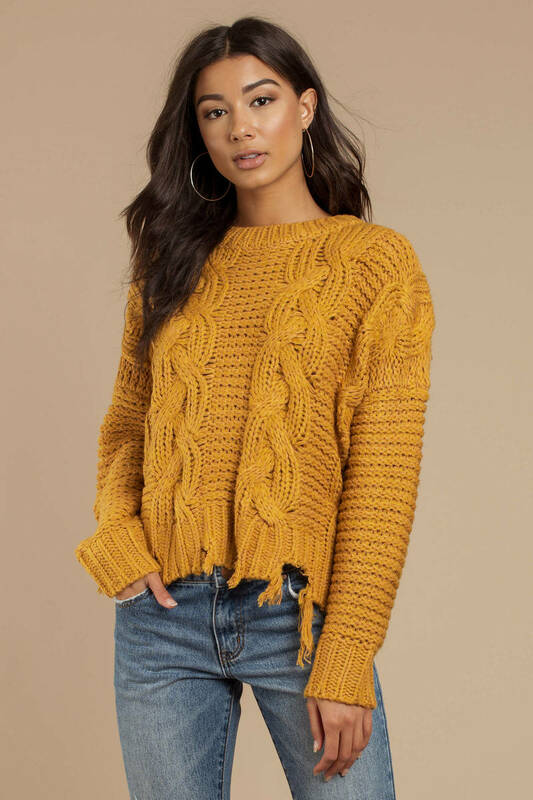 Get that lived in look with the Moon River Leah Mustard Distressed Hem Sweater. 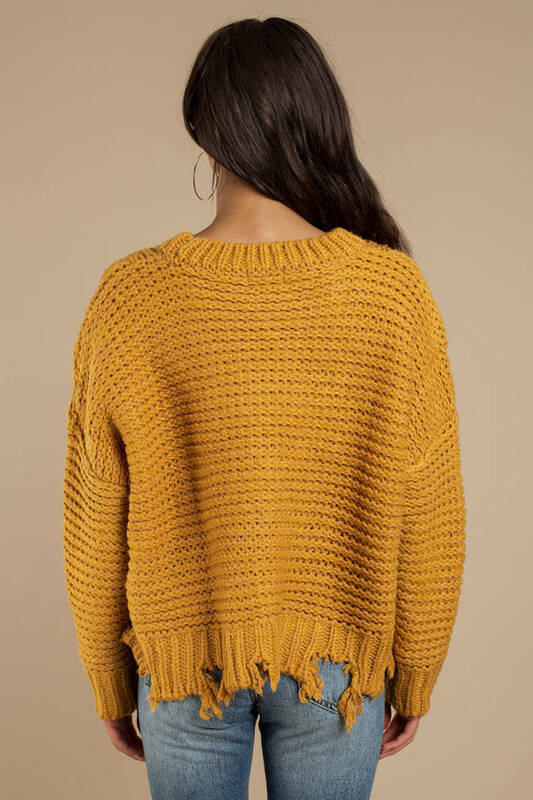 This mustard yellow sweater features intricate knitting, crew neckline, oversized fit, and a distressed hem. This slouchy sweater will look so fall with tight pants, booties, and a beanie. Mustard modeled on a size Small.